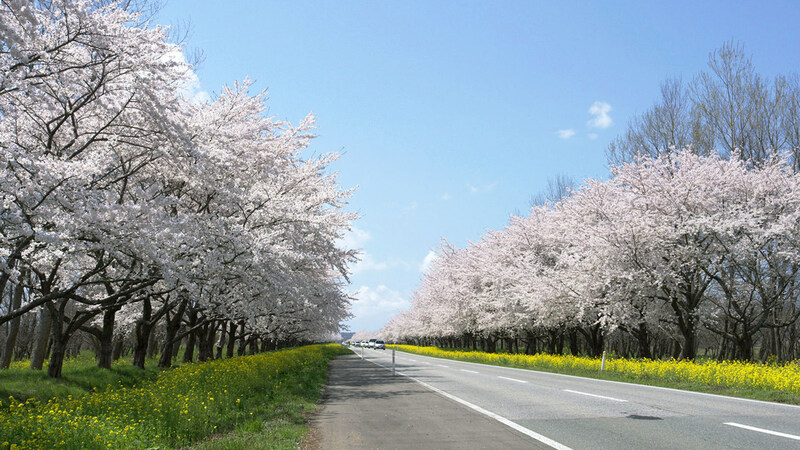 Cherry and Rapeseed Blossom Road is an 11-kilometer stretch on Prefectural Road 298 lined with rapeseed trees and about 3,000 cherry blossom trees. The scenery of pale yellow and vivid pink flowers seems to go on forever. It’s a popular drive course in the spring when you can take in the full beauty of the blossoms. 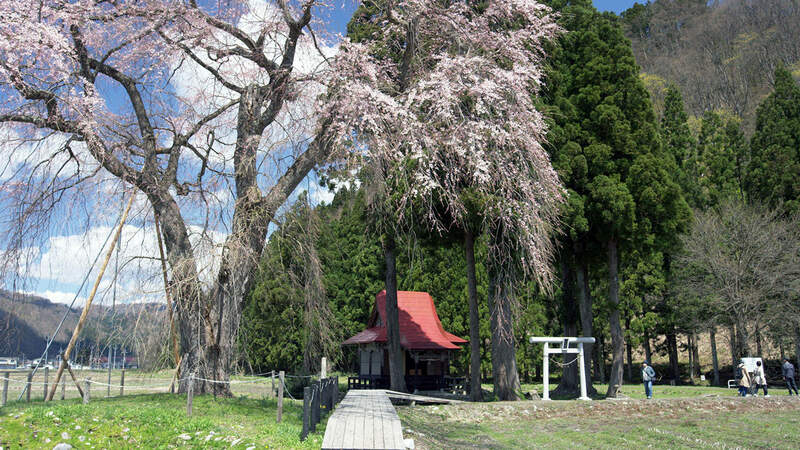 Next to Hakusan Shrine, there is a 200-year-old, 10-meter high, 19-meter wide weeping cherry tree that looks as if it is reaching down to the shrine’s torii gate. Named after a household deity, it is a magnificent tree with graceful drooping branches, a wide trunk, and splendidly colored flowers. 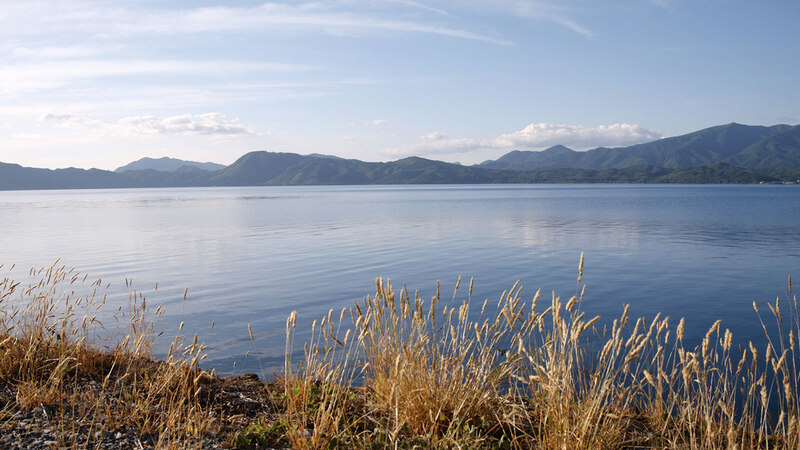 Lake Tazawa is 423.4 meters deep, making it the deepest lake in Japan. When the sunlight shines on the bottom of the lake, the water turns a clear, vivid, azure blue. 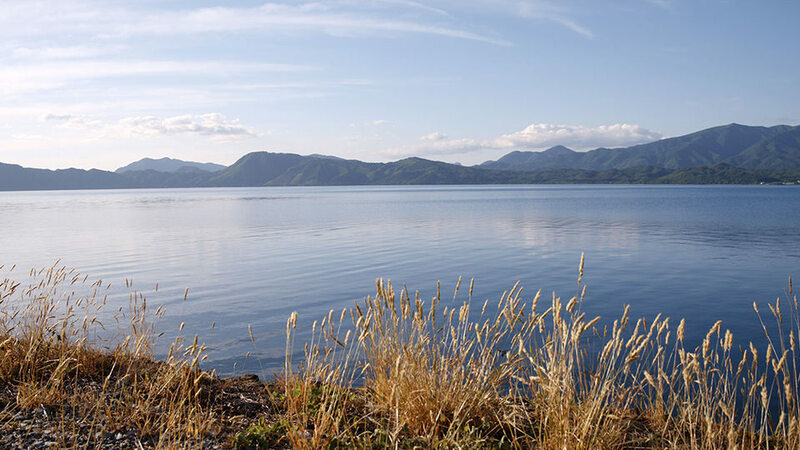 Another highlight of the lake is the golden statue of Tatsuko—a legendary maiden who was turned into the guardian dragon of lake—standing against the backdrop of beautiful Mount Komagatake and other mountains. Once a group of islands, the entire area became land about 200 years ago when an earthquake caused the seabed to rise. 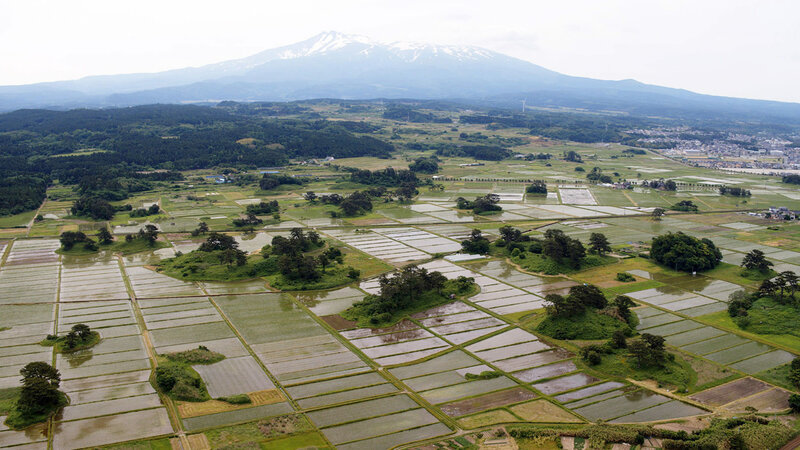 One of the best times of the year to visit is in June when the rice fields are flooded—the spectacular Mount Chokai covered in lush new growth reflecting on the water is a truly beautiful sight.